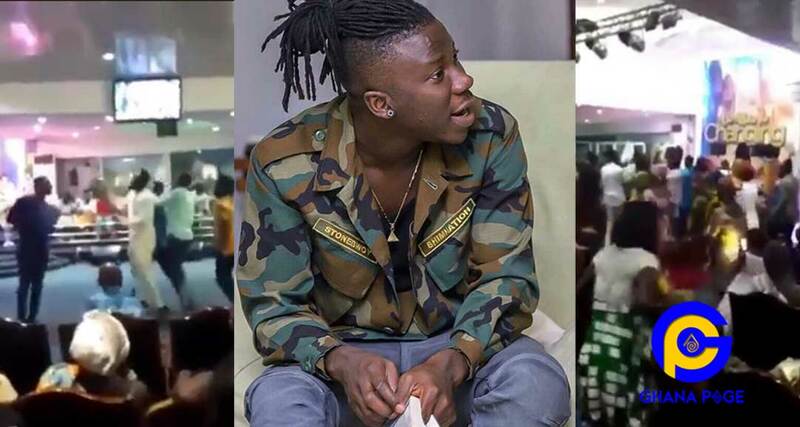 A church in Ghana went gaga when the pastor allowed Stonebwoy’s hit banger, “Kpo Keke” to be played during church service. In the video which is fast going viral, the congregation is busily dancing to the song right inside the church to the delight of everyone gathered there. Whiles others moved to the front of the pulpit, others just stood in front of their seats to buggy. It’s a spectacular moment for the congregation. As at now, it is not clear which church this unorthodox event took place but Ghpage.com has an eye out to find the church. Be assured you will be the first to know. The post Congregation go gaga as pastor plays Stonebwoy’s ‘Kpo Keke’ in church appeared first on GHANAPAGE™.